The first Recycling Market was held in 2014 by our very own Felix von Drigalski. 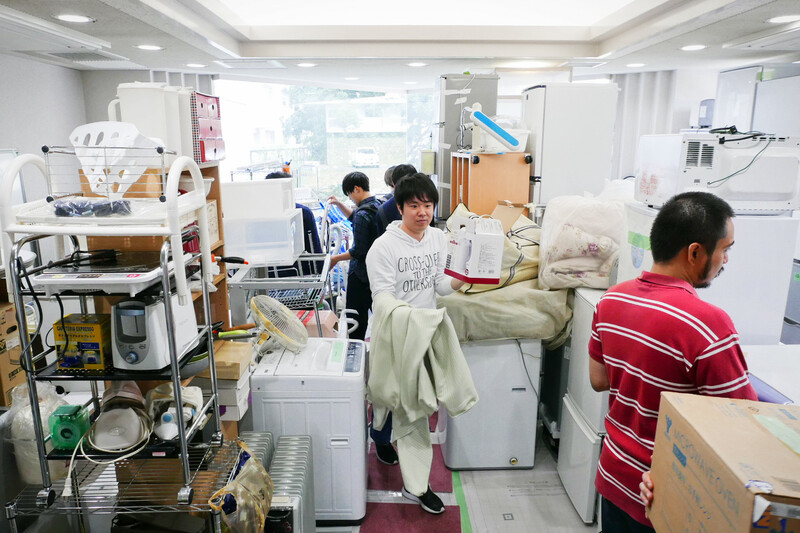 He saw that there were two major problems plaguing NAIST students in between academic years. 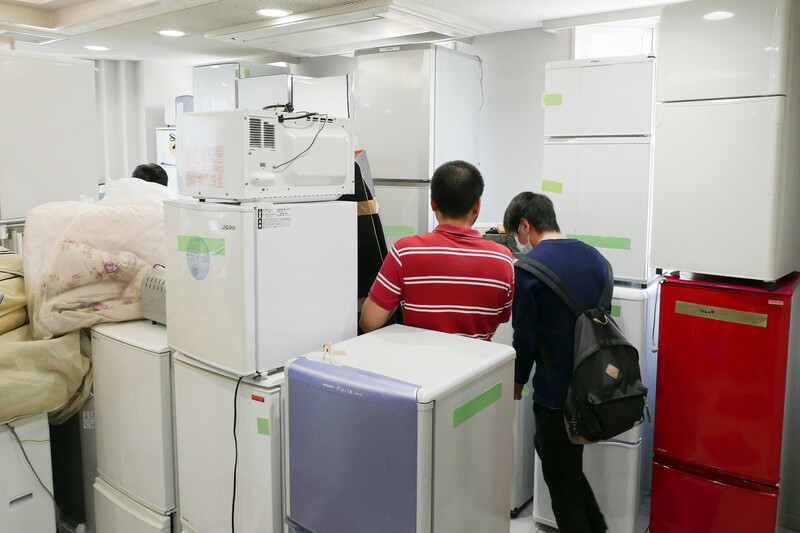 First, graduating students found it expensive and time-consuming to dispose of appliances they no longer needed. Second, new students were looking for a convenient and inexpensive way to furnish their dorm rooms. The Recycle Market was the simple and clever solution that was solving these two problems since its inception. 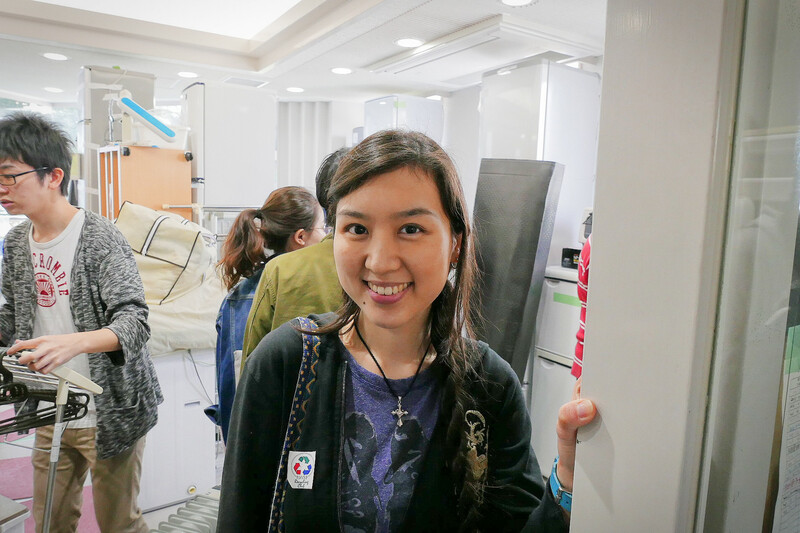 This year’s event was held in Dorm 1 East Lounge—the convenient and natural choice for NAIST dormers. 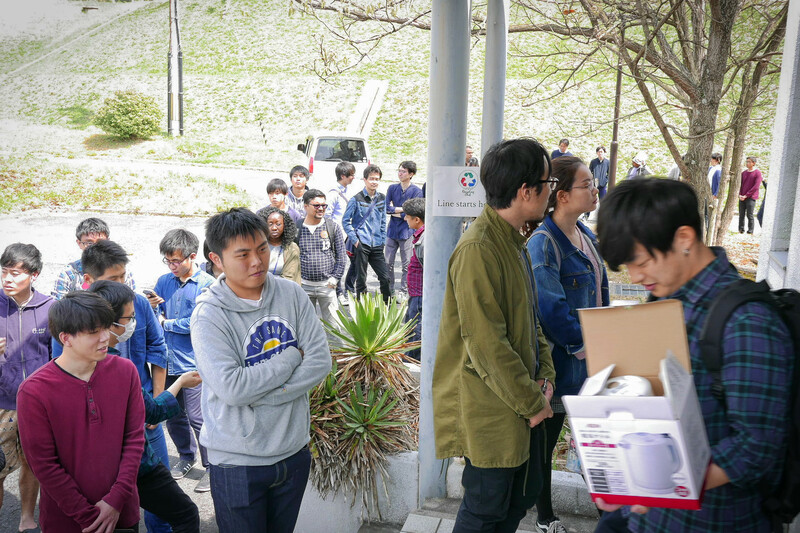 People were way too excited, as a looong line of students was already snaking through the dorms one hour before the event started! But as you will find out here in Japan, people are organized, respectful, and very efficient: in restaurants, in research, and of course, recycle markets. Queuing like people are just giving away free stuff… because they are! There was an incredible amount of household items to be had. There were, of course, the useful and necessary appliances such as refrigerators, ovens, microwaves, and rice cookers. 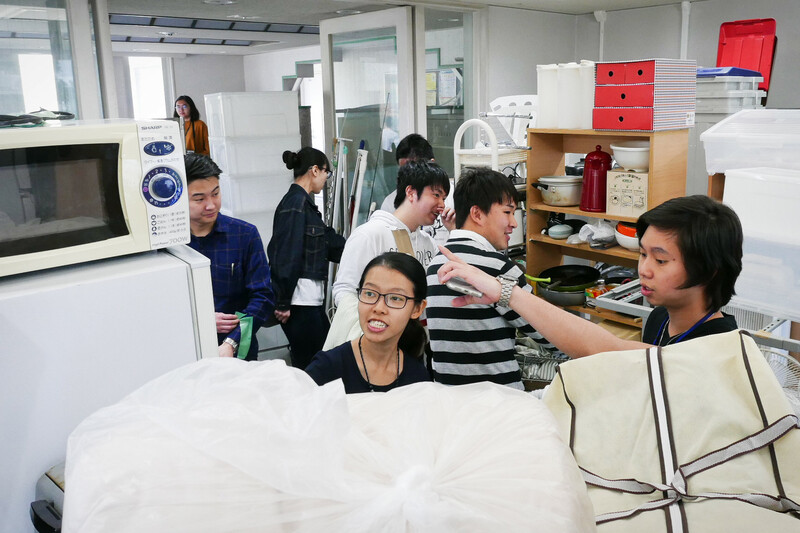 However, move around to see some of the interesting items that the NAIST Old Boys and Old Girls have left behind (OB and OG are terms used for alumni in Japan). Some items include an air fryer, a fishing rod, and even a fish tank! Social life in NAIST has rapidly become more varied and more visible. 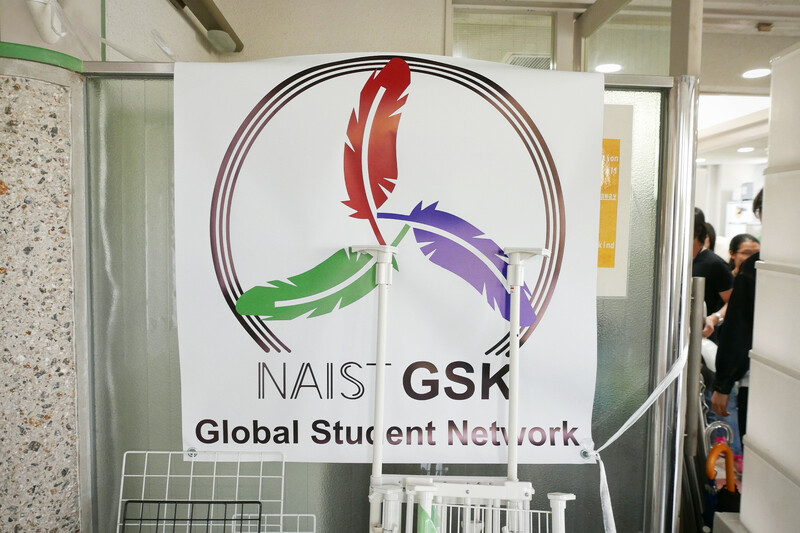 With the help of clubs and groups facilitated by the NAIST Global Student Network, student life in NAIST is poised to be quite bright and quite exciting. We invite you to come and see for yourself! The lounge basically transformed to this respectable appliance store. Abi Uy (Head of Recycling Market 2018), smiling for the fans!